Reduce urinary proteinuria than amlodipine, in proteinuric and hypertensitive patients treated with renin- angiotensin blockades. An important alternative as firest- line treatment of hypertension. Produces greater reductions in both systolic blood pressure (SBP) & diastolic blood pressure (DBP) when compared with losartan. The combination therapy was more effective in reducing BP than either drug in monotherapy without affecting glucose homeostasis. 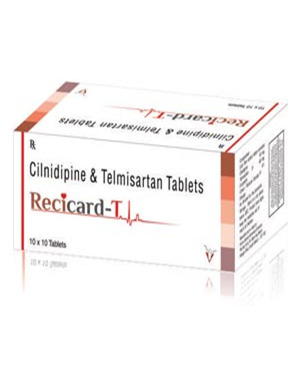 Cilnidipine & telmisartan, synergistically decreased plasma aldosterone concentration and pulse wave velocity for preventing vascular complications.